Believe it or not, Sydney offers world class diving that is unmatched by any major city. Recent studies show that Sydney has more marine species than any other harbour in the world! There is already an abundance of marine life each and every time you dive in Australia and Sydney is no exception. Since Sydney is strategically located in the South-east portion of Australia, in this area, history has shown are less prone to cyclones of tropical areas, which damage reef and aquatic environments. 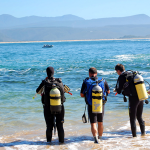 Rather here in Sydney, the protected harbour and outer areas have allowed species to flourish with many accessible shore diving locations for enthusiast to visit them. 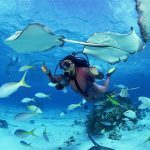 Plus with the added benefit of convenient local boat diving sites that are typically located less than 1/2 hour boat ride away, with wreck diving, deep diving and an abundance of schools of fish present you are sure to be amazed! Avoid 1-3 hour boat rides of up north and definitely don’t leave Sydney without diving it! 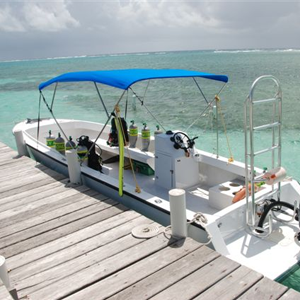 Guided boat/shore dives available with gear or just tanks and weights if you have your own. 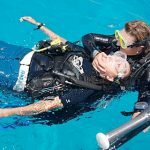 If you don’t have your own, we recommend you do and pick up some of our affordable diver gear packages. 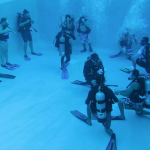 Discover some of the best diving, right in your own backyard (yes right here in Sydney)!